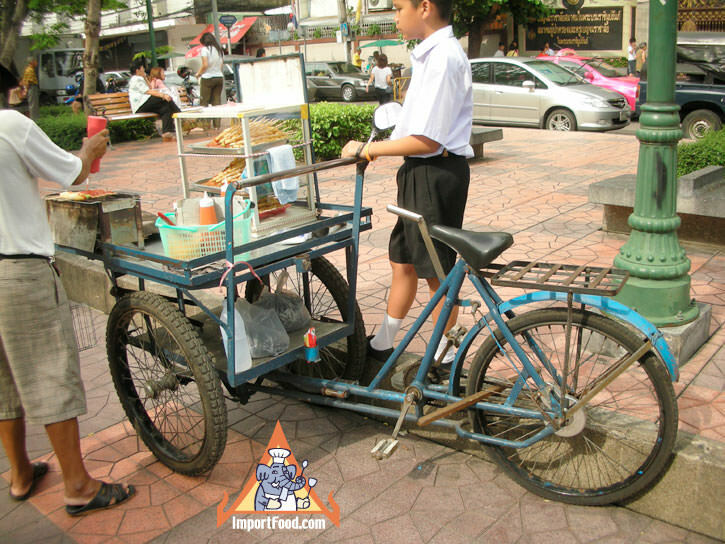 Here we feature another vendor selling from a three-wheeled bicycle with a center handbrake, which is a common sight throughout Thailand (one of our favorite three-wheeled bicycle vendors is the ice-cream vendor featured at this link). 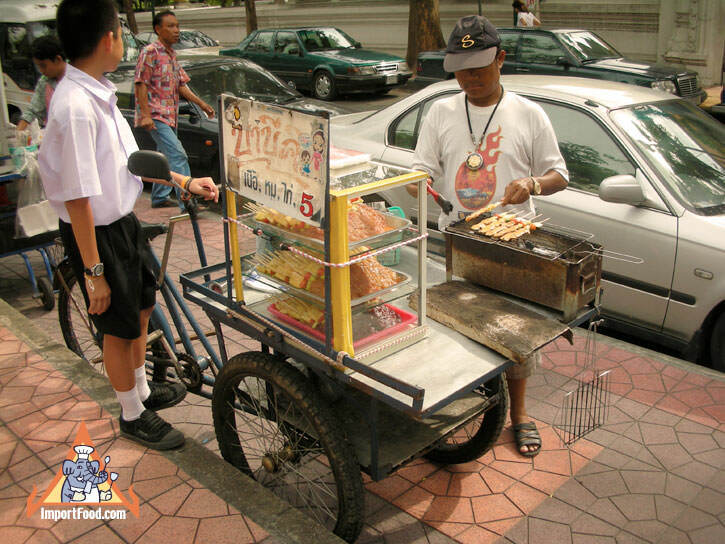 On the front of the bike is a display case showing three kinds of fresh meat (chicken, pork, and beef) and a charcoal barbeque with grill. 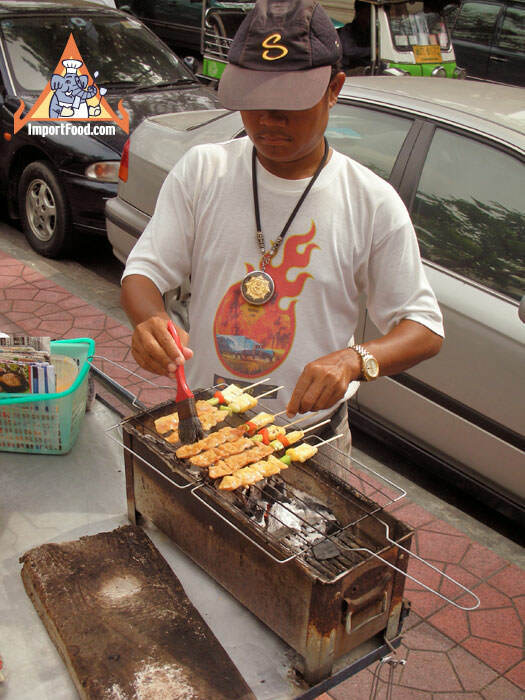 He wheels around during the day offering these skewers for 5 baht each (about $0.15). 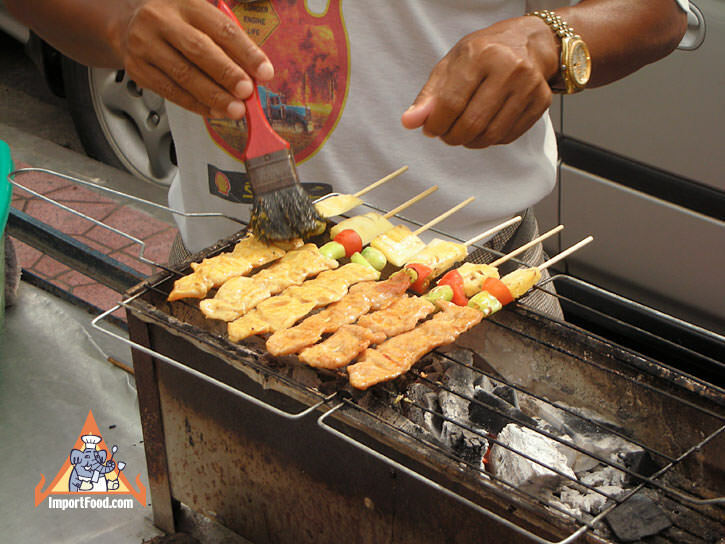 The skewers have pineapple, tomato, green pepper, and your choice of meat. They're basted with his special sauces which are kept in the small squeeze bottles you can see in the little blue basket. Bicycle vendors such as this are another example of how a market free of heavy bureaucratic regulation provides delicious, low-cost, efficient fresh food for a hungry pedestrian population. At the same time, this vendor has a job for himself and he gets plenty of exercise to stay healthy. Lessons for all of us.